Screenplay: Paolo Sorrentino, Umberto Contarello. 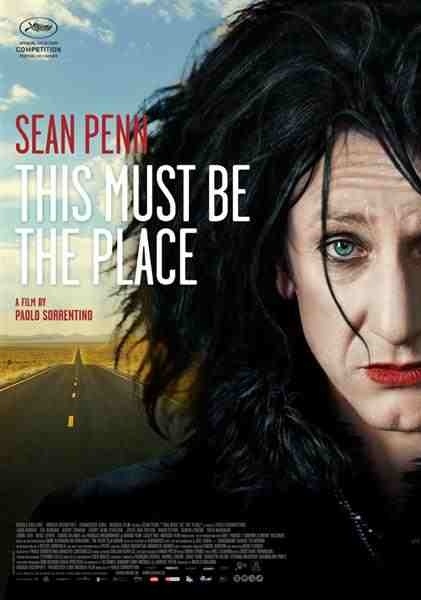 Starring: Sean Penn, Frances McDormand, Judd Hirsch, Shea Wigham, Kerry Condon, Eve Hewson, Joyce Van Patten, Olwen Fouere, Liron Livo, Grant Goodman, Simon Delaney, David Byrne, Harry Dean Stanton. The joy in watching American road-movies tends to be the unexpected and vast array of colourful characters. This English language debut by Italian director Paolo Sorrentino is no exception. It has all the hallmarks of the sub-genre and also benefits from a commanding and touching performance from it’s lead. Cheyenne (Sean Penn) was once a 80’s glam rocker whose life and career came to a halt when two fans committed suicide after listening to his lyrics. He feels a deep sense of responsibility and guilt for the boys’ deaths and struggles to get on with his own life. Years after the event, he hides away in Dublin with his understanding wife (Frances McDormand) but when news comes that his father has recently died, he heads back to America. It’s here he finds a purpose and reawakening in himself, in hunting down an old Nazi war criminal that his late father had committed his life to finding. 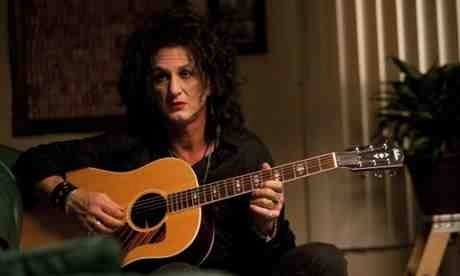 You just need to take one look at Sean Penn – with his straggly black wig and eye make-up – and you’d be forgiven for expecting this film for being some form of a comedy or parody of Glam Rock. It’s not. What it is, is an off-kilter little that drama that possesses some real moments of beauty. It probably comes under the umbrella of an art-house road-movie and despite Penn’s appearance, he delivers a heartfelt portrayal of a distant, childlike man, suffering from boredom and an unrelieved depression. It’s, once again, a reminder of the unique abilities that Penn has as an actor and ranks as one of his best and bravest performances. It’s also the catalyst for a lot of this film’s believability. Although his character very rarely cracks a smile, this still elicits some genuine laughs with odd behaviour from an eclectic collection of very off-beat characters. As well as “Talking Heads” frontman David Byrne providing the songs and receiving a welcome and effective cameo appearance into the bargain. Harry Dean Stanton popping in late on, doesn’t hamper it in any way either. Essentially, the film is about the journey though. Not just the physical, but the psychological and emotional ones as well and cinematographer Luca Bigazzi adds several welcome scenes of surreal beauty on the travels. However, it takes a sharp right-turn with the Nazi sub-plot that doesn’t entirely convince and threatens to undo the whole film. It feels a bit disjointed with what came before but as this film plays with conventions, it still seems strangely acceptable. A poignant and odd little drama about self discovery. It will not appeal to everyone but if you open your mind and your heart, it might just surprise you. This entry was posted on April 27, 2012 at 11:21 am and is filed under Drama with tags 2012. You can follow any responses to this entry through the RSS 2.0 feed. You can leave a response, or trackback from your own site. Nice review. Penn and McDormand are two of my favorites, so I will definitely watch this. It’s a bizarre little film Fernando but I really liked it. You won’t be disappointed in Penn and McDormand for a start. They’re great in it. He certainly doesn’t strike a pretty picture. Great performance though. Cheers Andy. I always like to have an open mind about different kinds of films. I will check this out when I can. Excellent review as always. I have something to contribute to the discussion. Usually it’s triggered by the sincerness communicated in the article I browsed. And after this article This Must Be The Place * * * * | MARKED MOVIES. All Facebook and twitter links are on my home page!